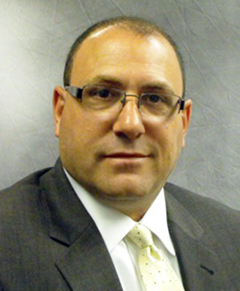 Chris Buzzanca has served the New York metropolitan area, Connecticut and Florida in the financial services industry for almost 30 years. Chris studied philosophy at the University of Steubenville in Ohio and business at St. Joseph’s College in New York. He grew quickly in business acquiring Integre Financial and Estate Planning which focused on pensions and estate work. Chris merged with Comprehensive Planning Services to concentrate on individual Strategies for Retirement Income Planning and Wealth Preservation. Today with Economic Planning Group, he emphasizes protection of investment portfolios from erosion by taxation and the expenses of Long Term Care. Chris strives to help each one of his clients plan for a more secure financial future in a way that best meets their goals. Chris holds FINRA licenses Series 6, 63, 7 and 24. Chris thrives on active involvement with his community. He frequently lectures CPA’s for continuing professional education about financial strategies that may impact their client’s investment and tax planning. Chris currently serves on the Executive Board of the Long Island Chapter of the Society of Financial Services Professionals. Past President of the National Association of Insurance and Financial Advisors of Long Island, Past President of the Long Island General Agents and Managers Association, and Past President of the Three Village Educational Foundation which is dedicated to funding programs and services which have been affected by limiting school district budgets. Chris is an avid skier and dedicated 19 years to the National Ski Patrol. Chris is married to his wonderful wife Kathy of 29 years and is a proud father of five outstanding children, ages 29, 26, 24, 23 and 16. He volunteers as the District Commissioner for the Ben Tallmadge District of the Boy Scouts of America and is the Scoutmaster of Troop 19 chartered by Independent Group Home Living in Manorville. In his spare time he enjoys skiing, sailing and kite flying.